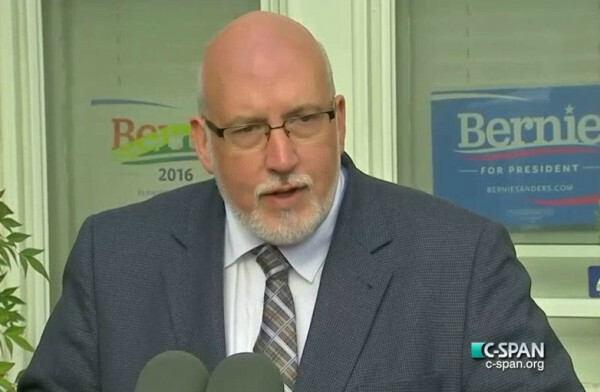 Democratic presidential candidate Bernie Sanders’ campaign manager Jeff Weaver condemned the decision by the Associated Press to anoint rival Hillary Clinton as the winner of the Democratic primary and the party’s candidate for the general election for president. Six Democratic primaries were conducted today, New Jersey, California, North Dakota, South Dakota, Montana and New Jersey. For twenty years I've been reporting what my corporate overlords told me. Now I'm free to write for you, for me and for a better country for my children. After a lifetime of watching career politicians greedily consume everything within arms reach I have now seen change in the form of presidential candidate Bernie Sanders. His message resonates with me and I feel most Americans would embrace it if they knew more about him and his policies. That isn't going to happen through mainstream media. That's why independent media like The Bern Report was born. To get the world out, unfiltered by our corporate masters. Because we have none. I'm looking forward to this new journey and hope the country is ready and willing to embrace true change.